Lipid layer. 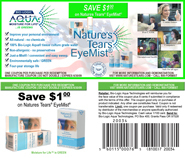 This outer layer is a thin film of fatty oils (over 100 different fats and oils have been identified), that lubricate the eyelid and slow moisture evaporation from lower layers. Aqueous layer. 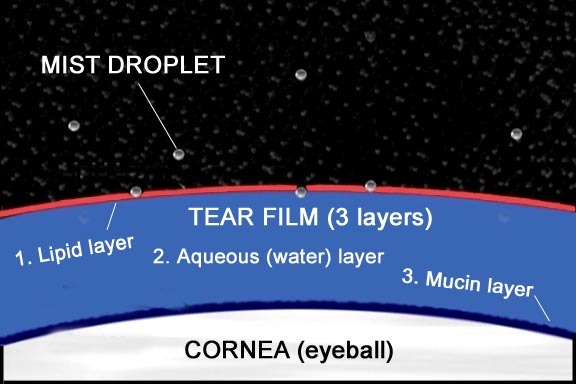 The middle and thickest layer contains most of the tear film's moisture (water). It also contains electrolytes, beneficial proteins and enzymes, and bacteria-fighting antibodies. Mucin layer. This bottom layer glues the tear film to the ocular surface.